IBPS RRB Exam Date 2019 updated here. Candidates can have your eye on the IBPS RRB Officer Scale I, II & III Prelims and Mains Exam Dates, IBPS RRB Office Assistant Prelims & Mains Exam Dates. You may also visit the Official Website www.ibps.in for more information about IBPS RRB Exam Dates 2019. Latest News: IBPS RRB Officer Scale I, II & III and Office Assistant 2019 Exam Dates Released. Check IBPS 2019 Exam Calendar Below. Are you going ahead to Apply for IBPS RRB Recruitment 2019? Then, have a look at the complete IBPS RRB 2019 Exam Dates. So that you will get clarity about each step and have the clarity about how to plan Preparation. Here, we have provided everything about IBPS Regional Rural Bank CRP Bank Exam such as IBPS RRB Notification released date, IBPS RRB Online Application dates, Preliminary & Main Examination dates of IBPS RRB Officer Scale 1 & Office Assistant 2019 Exams. Time Management is an important factor for every success. You have the chance to succeed whenever you have a perfect schedule. The planning of Perfect schedule will be possible whenever you know the complete dates of every step of IBPS Recruitment. So, refer the IBPS RRB Exam Date of Probationary Officer and RRB Clerk. You can also find these IBPS RRB 2019 Exam Date of Officer Scale 1 Prelims & Mains, Office Assistant Prelims & Mains in the IBPS RRB Official Notification 2019. Name of Institute Institute of Banking Personnel Selection. Name of Posts RRB Officer Scale 1 (PO), Officer Scale II and III & RRB Office Assistant (Clerk). Examination Name Common Recruitment Process (CRP). We have updated the IBPR RRB PO Exam Date and IBPS RRB Clerk Exam dates. IBPS Applicants can refer the IBPS RRB Prelims Exam Dates 2019, IBPS RRB Mains Exam Date 2019. Know the number of days between the Preliminary and Mains Exams. So that, you will plan the IBPS RRB Mains Preparation Plan perfectly. www.ibps.in Regional Rural Banks Common Written Examination details can be given in the IBPS RRB Notification 2019. 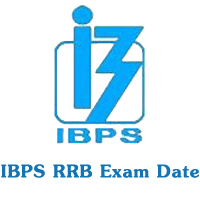 You may also download IBPS RRB Exam Date Notification Pdf from the enclosed link. Visit the Official Website for complete schedule of the Institute of Banking Personnel Selection Rural Regional Banks Officer Scale 1, 2 and 3 & Office Assistant 2019 Schedule. Check the IBPS RRB 2019 Exam Date of CRP VIII PO & Clerk Prelims & Mains Exams. Also, check the IBPS RRB PO & Clerk Important Dates like Online Application starting date and deadline. 1. IBPS RRB PO Advertisement Released on July 2019. 2. CRP IBPS RRB Officer Scale 1 Online Application Commence from July 2019. 3. ibps.in RRB PO Online Application Submission deadline August 2019. 5. Officer Scale 1 Pre- Exam Training Download Call Letter August 2019. 6. Pre-Exam Training for Officer Scale-I August 2019. 7. RRB PO Preliminary Exam Call Letter Download August 2019. 9. Preliminary RRB PO Result Date September 2019. 10. Officer Scale 1 Call Letter download (Main/ Single) October 2019. 11. IBPS RRB Mains Exam Date – Online 22/09/2019. 12. Officer Scale 1 Mains Result Declaration November 2019. 13. Download Call Letters for Interview December 2019. 14. Officer Scale 1 Provisional Allotment Order January 2020. 1. IBPS RRB Clerk Notification released July 2019. 2. RRB IBPS Assistant Online Application Starting date July 2019. 3. Last date to Apply Online for IBPS RRB Office Assistant 2019 August 2019. 4. RRB Clerk Fee Payment Dates July 2019. 5. Download Call Letters for Office Assistants Pre-Exam Training August 2019. 6. IBPS RRB Office Assistant Pre-Exam Training September 2019. 7. Call Letter Download for Office Assistant Preliminary Exam September 2019. 9. IBPS RRB Clerk Prelims Result date October 2019. 10. Call Letter for Online IBPS RRB Assistants Mains Exam November 2019. 11. RRB IBPS Office Assistant Online Mains Exam 29/09/2019. 12. Provisional Allotment Office Assistant January 2020. At last, interested candidates can download IBPS RRB Exam Date PDF after the official release. The Schedule can be given in the IBPS RRB VIII Official Notification. We have provided the direct link for downloading the complete IBPS RRB Exam Schedule and IBPS RRB 2019 Important dates.